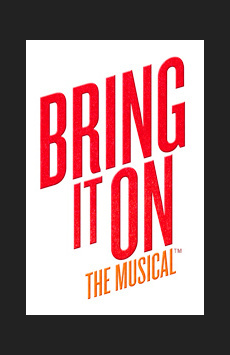 What Is the Story of Bring It On: The Musical? Set in the high stakes world of competitive high school cheerleading, Bring It On: The Musical tells the story of Campbell, cheer captain and most popular girl at the uber-affluent Truman High School. Before she can lead her award-winning squad to another win at Nationals, tragedy strikes: School redistricting forces Campbell to transfer to the multi-ethnic Jackson High School. Knocked off her throne as teen queen, Campbell tries to make sense of her new “outsider” status. Soon she discovers that Eva, a plotting sophomore with delusions of grandeur, is responsible for knocking her from the top of the cheer pyramid. With a national title on the line, Campbell must convince Danielle, Jackson’s “it-girl” and leader of hip-hop dance troupe The Crew, to start a cheerleading squad and help bring on some sweet revenge.